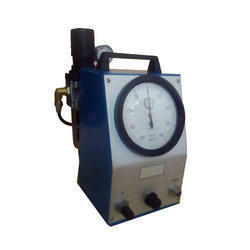 We are offering Air Gauge Unit to our client. High-pressure system - High speed of response and self-cleaning of gauging area ensures accurate reading of size, taper, and ovality at a time. Non-contact Gauging - Long life due to minimizing frictional wear. Two Setting Masters - Ensures correct magnification of reading at all times. 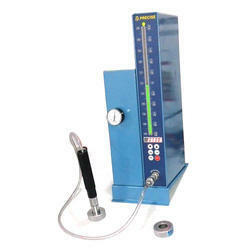 System Pressure Check Gauge - provides a constant check on the system pressure i.e 3 bars (45 psi), regulated by a high precision regulator built into the unit. We are offering Digital Air Gauge to our client. Air Electronic Converter complete with 1.5 meters. 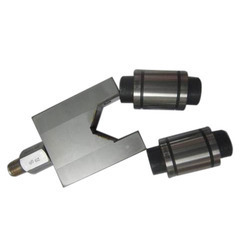 We are offering Air Caliper Gauge to our client. 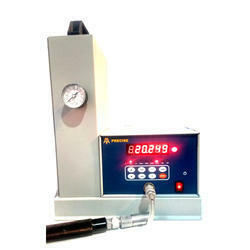 We are offering Air Electronic Gauging System to our client. 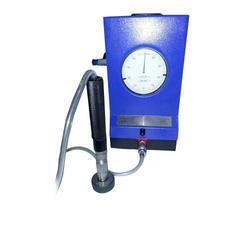 We are offering Dial Type Air Gauge to our client. We are offering Model C Air Gauge Unit to our client. Self-centering gives speed and accuracy in dimensional measurement Fixed Magnification. Two setting masters ensure correct linear setting. With hard work and sincerity of our professionals, we have engraved a niche for ourselves in this domain by offering quality tested Air Plug Gauge to our prestigious clients. Extensively applicable for instant measurement of the internal bore (ID), it is an ideal solution for measuring deeper bores. Designed in conformance with set international norms of quality, it is made available in numerous specifications. Furthermore, clients can avail it from us at rock-bottom prices within estimated time frame. 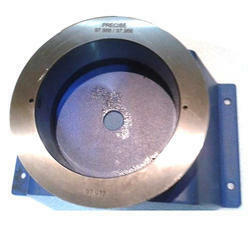 We are offering Air Ring Gauge for OD to our client. Two Jet Air Ring Gauge to check outside diameter, Taper & Ovality. Can be supplied with Tungsten Carbide wear rings on request. Air Ring gauge - above dia. 150 mm available on request. We are offering Air Plug Gauge to our client.